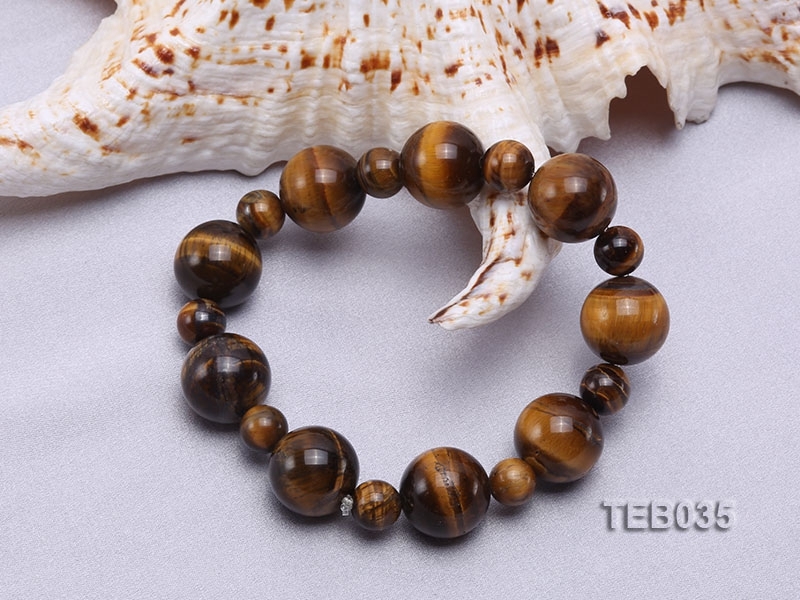 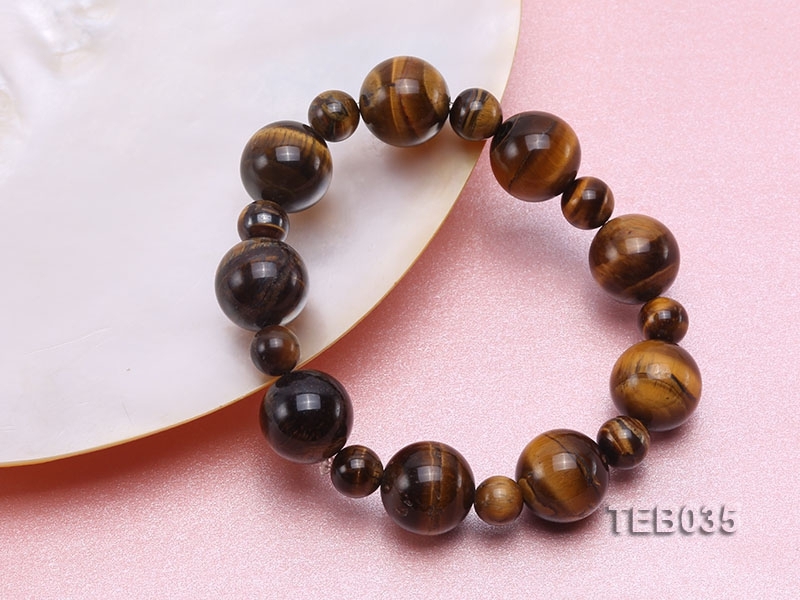 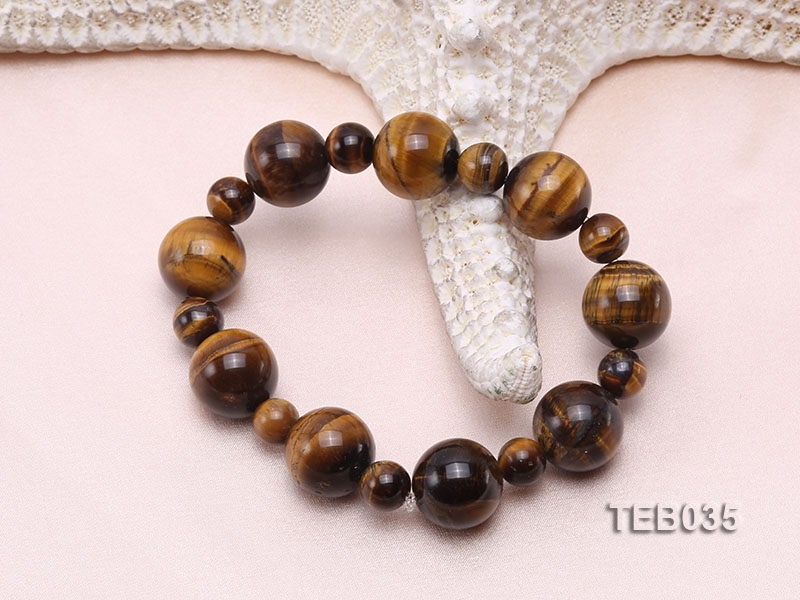 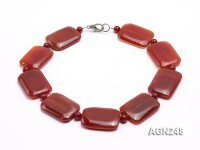 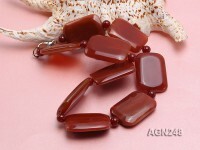 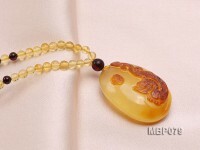 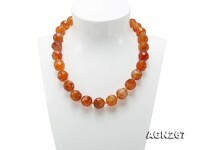 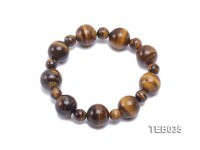 Classic 8.5-14.5mm round tiger eye stretchy bracelet for sale. 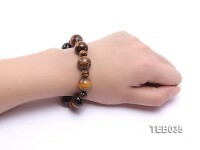 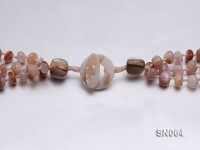 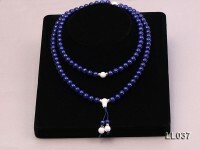 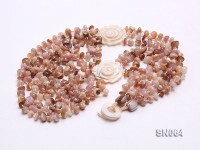 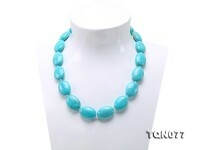 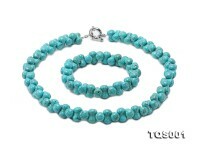 The tiger eye bracelet measures 7.5 inches long. 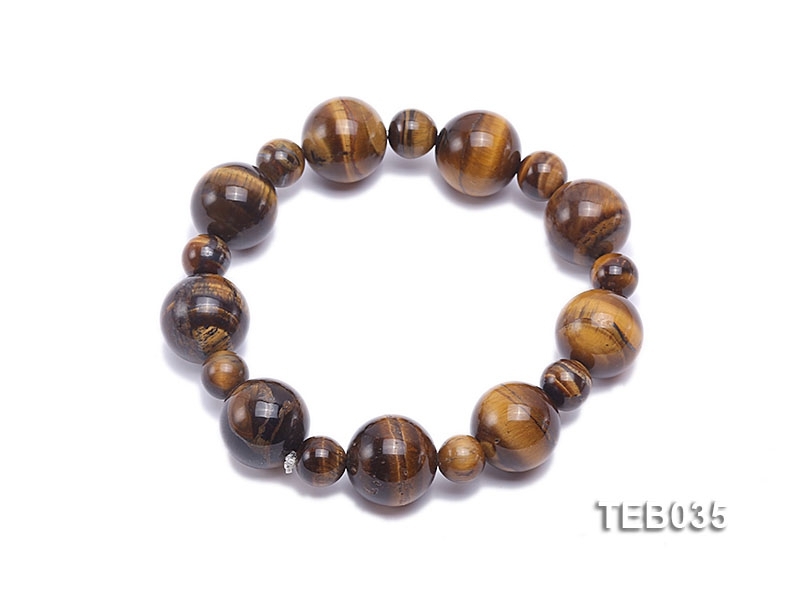 Tiger eye, a member of quartz group, is usually a metamorphic rock with golden to red-brown colour and silky luster on the surface. 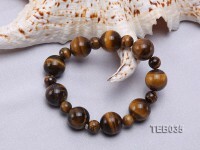 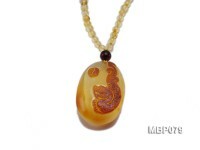 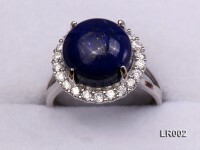 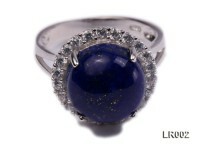 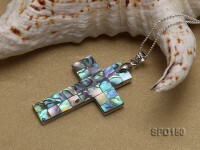 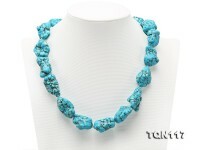 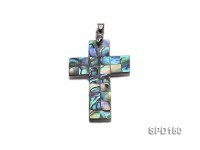 Tiger eye is believed to ward off evil spirits and gather fortune during long-time wear.